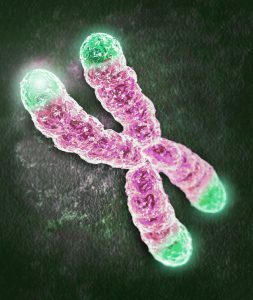 s of chromosomes that keep your DNA intact, and are linked to aging and disease. In 2016 researchers at the University of Florida discovered that a hormone know as irisin dramatically helps your body fight fat. The results of their research, published in the American Journal of Physiology - Endocrinology And Metabolism, showed that irisin fights fat in two ways. First, irisin appears to activate genes and a protein that transform calorie-storing white fat cells into brown fat cells—which continue to burn energy after you finish exercising. Second, irisin appears to inhibit the formation of fatty tissue. Dr. Brown: “Exercise is known to have wide ranging benefits, from cardiovascular protection to weight loss. Recent research has suggested that exercise can protect people from both physical and mental decline with aging. Our latest findings now provide a potential molecular link between keeping active and a healthy aging process." 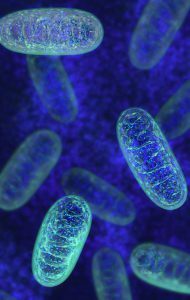 A study published March 7, 2017 in Cell Metabolism found that exercise -- and in particular high-intensity interval training in aerobic exercises such as biking and walking -- caused cells to make more proteins for their energy-producing mitochondria and their protein-building ribosomes, effectively stopping aging at the cellular level. The 65 – 80 year old group showed almost 400 genes changed with HIIT exercise, 19 genes changed with moderate effort combined training, and 33 genes changed with weight lifting. The researchers found that the subjects who trained with HIIT showed an increase in the number and health of their mitochondria, with the greatest results being experienced by the 65-80 year old group.